Robbert brings companies good news! Since 2005 he has been working in the field of sustainability, corporate social responsibility, and conscious lifestyle. He offers companies his knowledge and contacts to promote their sustainable product and make this world a better place. That is the good news Robbert brings. 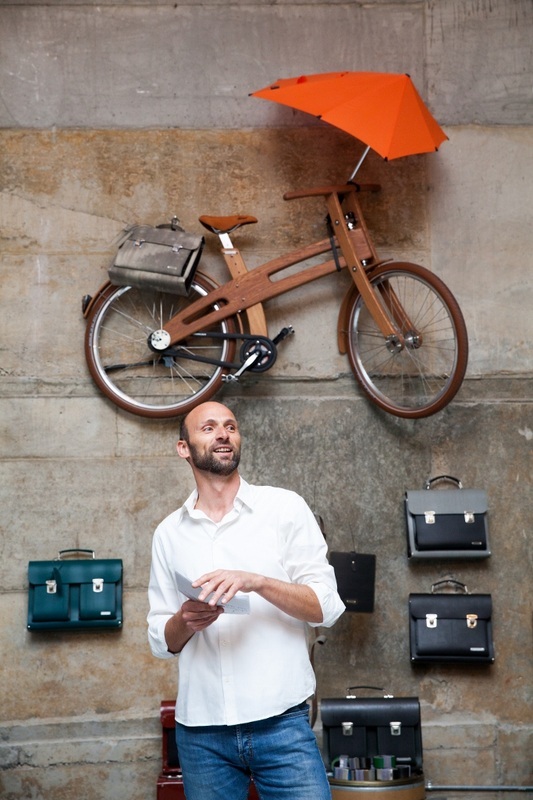 Robbert has often visited New York to introduce sustainable Dutch design to the US market. Like Bough Bikes, Fairphone and Dopper. He also organizes events in New York like GOED and Dutch & Green. In 2017 Robbert started a new project in the South of Italy: Orto Dell'Idro. For ten years Robbert Zoon has been working in the Dutch fashion and retail industry as a manager sales support. In 1999 he made a life changing decision. He left his corporate job and stepped out of the daily rat race to realign with the need of doing more meaningful work. Meditation and Reiki helped him live a more balanced lifestyle and start working on his own meaningful projects. From 2005 till 2010 Robbert has been publishing inspiring news online. For three consecutive years he also organized the National Good News Day, an event in which more than 20 Dutch media participated each year (read more here). In 2012 Robbert started to share his knowlegde as a marketing consultant.